Cacao is highly toted anti-oxidant ingredient - this mask is for sebum control, pore-minimizing and soothing! Cacao is described as "Cacao is apparently not only a tasty ingredient in chocolate but also is great for your skin and body. High in anti-oxidants, it helps you fight free radicals and infections with added minerals. Cacao contains high level of iron which is a critical mineral in nutrition as it forms part of the hemoglobin molecule. Hemoglobin is responsible for binding to oxygen in the blood and transporting it around the body thus making skin better." 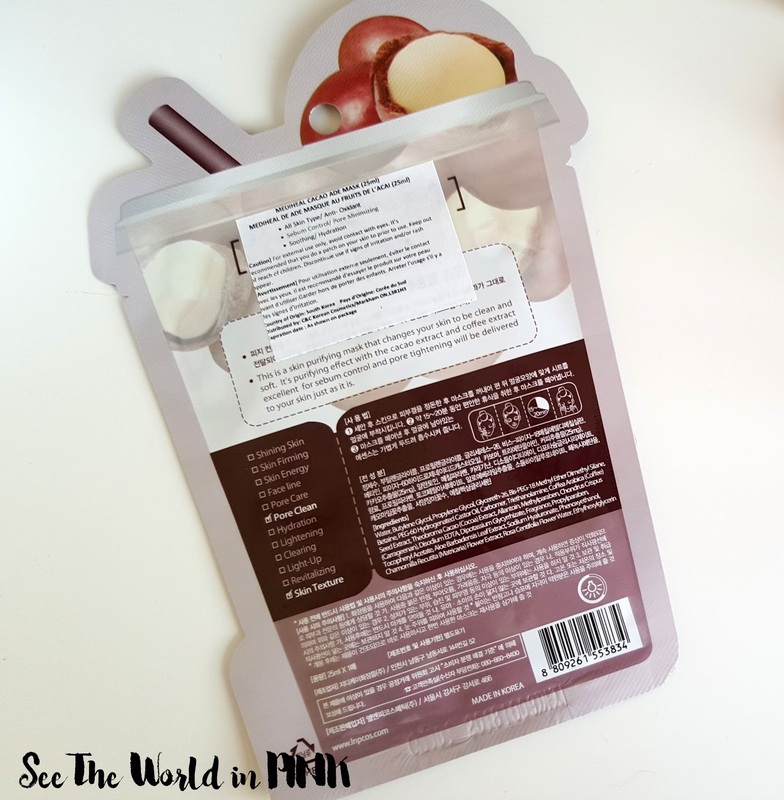 This mask is straight forward to use - wash face and apply toner, apply the mask and leave on for 15-20 minutes. Remove mask and pat remaining essence in to skin. I found this mask had a lot of essence - like dripping off of it. This mask has a quilted type of material and it fit fairly well on my face. This lasted about 30 minutes and still had a fair bit essence remaining to pat in to my skin. 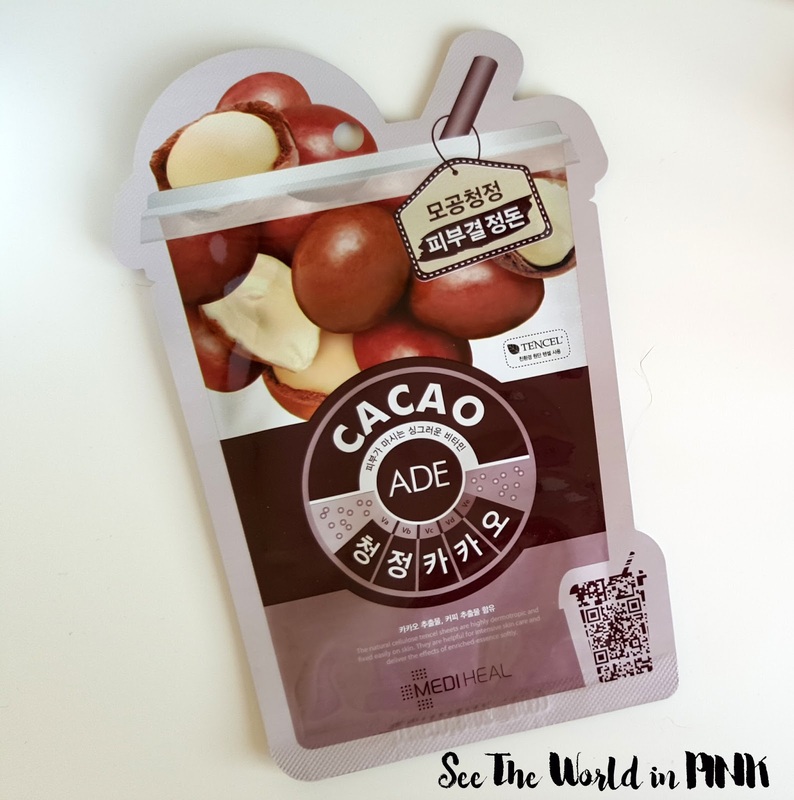 Overall, I liked how this mask made my skin feel - I find Cacao masks in general make my skin look really bright and clean. 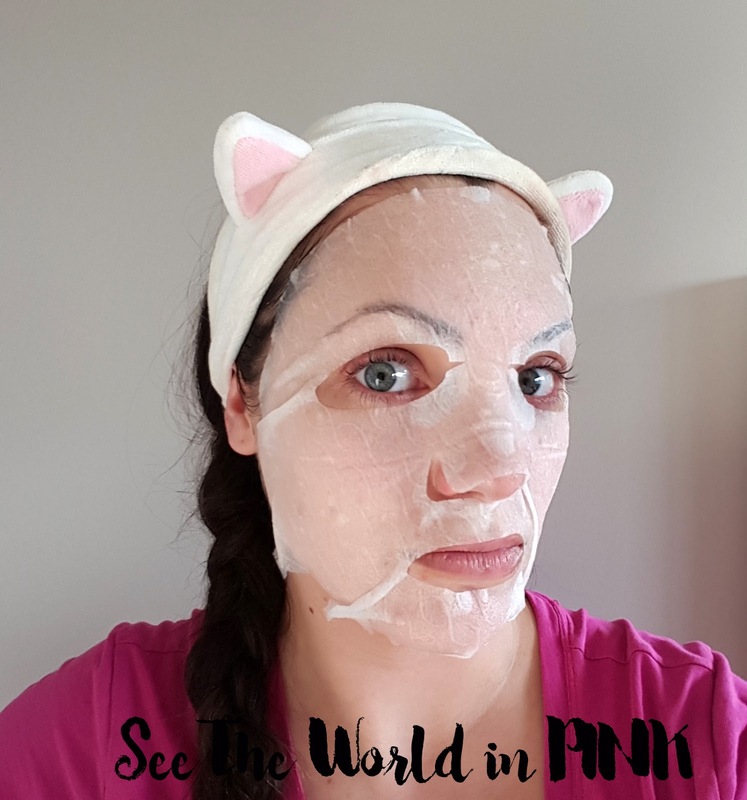 This mask was no exception, and it made my skin look great and feel really good! I'm so happy to see great k-beauty brands coming in to mainstream stores so they are more accessible! Yes you should try them - I love this brand of masks! !